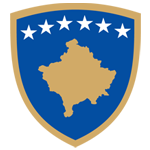 The Young Cell Scheme (Round XI-XII) project is implemented by the British Council in Kosovo, with a team consisting of European experts and local staff. Action Senior Expert/Team Leader. Ezio is an Italian national graduated in International Relations, with an MA in International and EU Law. Since 2002 he has been working as project manager and expert in several EU funded projects across Europe as well as in the Community of Independent States. He has been fellow researcher and lecturer in EU Law and International Public Law at the University of Trieste since 2004 to 2014. He is managing the YCS since April 2013 and he has been the Team Leader of the last two YCS projects since April 2013 up to November 2017. Project Office Manager. Violeta is a Kosovan national with a vast experience in EU funded projects, where she works since 2004. In quality of Office Manager she has been involved in all Rounds of the Young Cell Scheme since 2004. Project Transport and Logistics Officer. Fitim is a Kosovan national with a vast experience in EU funded projects where he works since 2005, in the capacity of logistics manager and assistant to the Team Leader he has been involved in most Rounds of the Young Cell Scheme. Local Junior Expert. Ana is a Kosovan national with a sound experience in EU and international funded projects. She is part of YCS team since 2015. Under the current project she is managing the outreach campaign among minorities across Kosovo with a specific focus on RAE groups. She is suopporting the Action team during the whole selection campaign.